The new BMW 5 Series Saloon is ideal if you want an executive saloon that is spacious, won’t cost you the earth to run and is great to drive. The 5 Series has always been known for its excellent drivability, and its reputation certainly doesn’t precede itself here. Again, it continues to be the exec saloon which all other’s are measured against. There is a wide variety of engines to choose from so that all tastes are catered to, while the driving experience is more involving than ever. This gives you confidence and security behind the wheel – as well as a lot of enjoyment. But is it better than its rivals? OSV takes a closer look at our BMW 5 Series Saloon review. BMW doesn’t employ their “ultimate driving machine” marketing slogan anymore, but that doesn’t mean this new 5 Series isn’t an ultimate driving machine. Like so many other BMW’s, it’s retained that core philosophy. Unless you actually get in the car and drive it for yourself, it’s not all that easy to describe what makes it so effortlessly good to drive. The nicely weighted steering certainly contributes, putting you in full control and inspiring confidence. The strong brakes need a bit of oomph from you to get the best out of them, while it’s a similar story with the six-speed manual transmission – especially if you want to unleash this car’s sportier characteristics. The new car is a lot more comfortable than its predecessor, but this doesn’t mean you have to worry that the warp handling has been sacrificed – because, rather amazingly, it hasn’t. The uncompromising stiff suspension of old as been softened up, but you still get a machine that offers just as much fun on the road as last time around. Naturally, if you opt for the M Sport model you will find things a bit bumpier, especially if you choose the M Sport suspension setting anyway. But you can order it with the smoother SE suspension setup for a softer ride. To get as much comfort as possible from any model, we suggest that you snap up the optional Adaptive Drive system. The 518d, 520, and 525d are all powered by four-pot diesel units which sound a bit hoarse when you first wake them up, but once they’re up and running, they clear their throats and become a lot smoother. Acceleration is reasonably strong, and if you want plenty of speed but don’t want to compromise on fuel economy too much, OSV recommends the 535d model. The four-pot petrol engines are quieter than their diesel counterparts. We like the 5289 245bhp unit: it’s a strong performer, but if you don’t want a lot of noise it’s a lot quieter than the 535i, which is powered by a vocal 3.0-litre six-pot unit. The interior is impressive, stylish and upmarket. It’s exactly what you would have expected. BMW like to experiment when it comes to their interiors. Sometimes they pull it off, but sometimes they get it horribly wrong. This one brings together the best of what the brand have learned over the years, which means you get an interior that is easy on the eye and the touch, and which also benefits from the latest in advanced technology and gadgets. 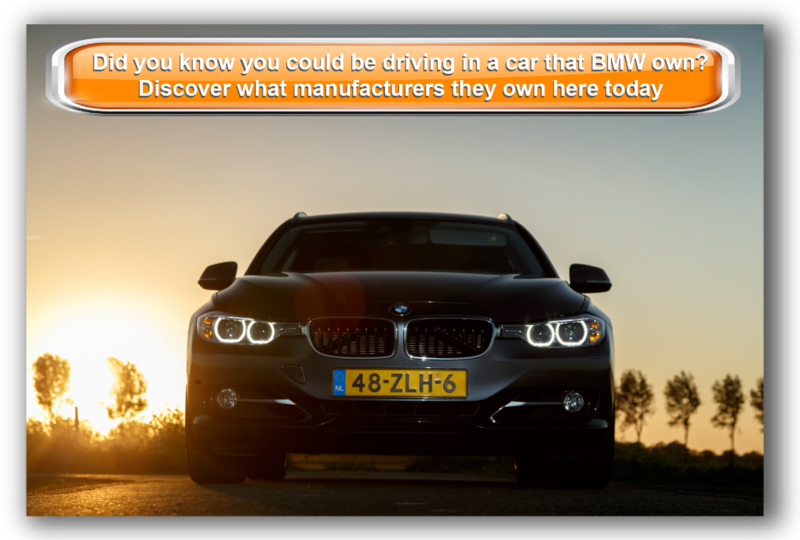 The 5 Series comes with BMW’s popular iDrive system, which is arguably the best of its kind on the market right now. It comes with a revised controller which is much much easier to use than last time around, and which you use to control the stereo, satellite navigation, and various other settings and info. Navigating through the iDrive is simple, and the sat nav now comes with a touchpad that you can write on with your finger. It’s classy, cutting edge stuff. The driving position is low, while both the seat and the steering wheel have plenty of adjustment. Meanwhile, there is plenty of space thanks to the fact that this is such a large car. Adults in the front and rear will have plenty of head and leg room, although the middle passenger will have to make do with the transmission tunnel. The 520-litre boot looks good in isolation, but it’s one of the smallest in this sector. BMW will add a folding rear bench if you’re willing to cough up another £400, which doesn’t sound like much money at all when you consider the amount of extra space you get. This is a premium car, and as such it comes with a good amount of standard equipment. Even the entry level models get parking sensors, leather seats, cruise control and Bluetooth connectivity, while the Luxury trim throws in higher-grade wood, interior lighting, metal finishes and 18” alloys. The optional extras list is enticing and includes a £1,750 night-vision package, adaptive cruise control for £1,300, and a colour head-up display for another £1,000. Prices for the new car start out from around £31,000 and rise to just over £58,000. If you want to lease a 5 Series, you can pick up a deal from as little as £250 + VAT per month. For more information about OSV’s leasing deals, click here. In terms of running costs, efficiency and economy are both much improved. The 520d and 518d diesel units are both good for returns of 65.7mpg, and they don’t emit any more than 114g/km of CO2. However, if you opt for bigger wheels, they will have a negative impact on running costs, and you will have to pay a bit more. The 525d offers more performance, but it is also a tad more expensive to run, so it’s a bit of an awkward choice. If you’re prepared to splash the cash, a 3.0-litre six pot diesel power plant is impressive. It packs plenty of performance and can achieve average returns of 55.4mpg. Petrol engines will inevitably cost more to run, but this time around they also cost more to buy outright. However, if you’re seriously considering the high-performance M5 model, it can average fuel economy returns of 28.5mpg while emitting 232g/km of CO2. When it comes to insuring the 5 Series, the model you choose will sit somewhere between insurance group 34 and 50. All engines in the range are impressive when it comes to fuel economy and efficiency. The 2.0-litre petrol is good for 47.1mpg, while the cheapest diesel’s average returns of over 65mpg. BMW offer plenty of financial incentives, too, including 5-years/5,000 miles worth of maintenance cover in their service pack. BMW have done it once again, crafting a large saloon that is great fun on the road. Despite improving refinement and comfort, the brand have retained the fun factor we all know and love. For keen drivers, there are no saloons on the market that handle as well as this. This is a large car, so you don’t really need us to wax lyrical on how spacious it is inside. But we’ve still gotta mention that head, leg and shoulder room for three occupants in the back is excellent. Moreover, BMW have used all that space intelligently, and have included a number of useful storage spaces, such as a few large door bins. Sure, the 5 Series gets a few new tech features, and the updated iDrive infotainment control is welcome. But compared to rivals such as the Mercedes E-Class, it just doesn’t have as much advanced tech as you’d prefer. The new car has been given a facelift for 2016, which include revised bumpers and the addition of LED front fog lamps. But overall the car still looks conservative and is unlikely to inspire. 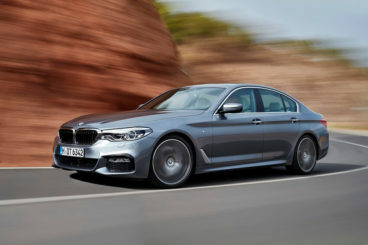 Let’s see how the car measures up against its rivals in the comparison section of our BMW 5 Series Saloon review. 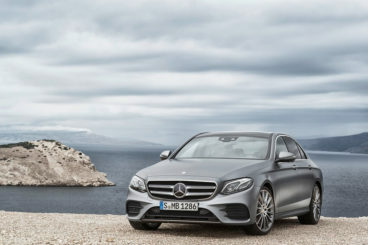 The new Mercedes E-Class Saloon is laden with enough space to seat five adults comfortably. It’s also efficient and comes loaded with plenty of cutting edge technology. There are a number of driving modes you can flick through to satisfy your mood, though it has to be said that whether you’re in Comfort, Sport, Sport + and so on, the E-Class won’t ever drive as well as the 5 Series. Steering is a bit lifeless and inert. Thankfully the vocal 2.1-litre diesel engine has been kicked from the range. It’s replaced by a brand new 2.0-litre diesel unit which has enough oomph to get you from rest to 62mph in 7.3 seconds. For more performance, a 3.0-litre V6 engine covers the same distance in 5.9 seconds, and while there are no petrol’s available, there is a hybrid – but it’s one that feels a bit underwhelming. Without a petrol engine in sight to mar running costs, fuel economy is good across the board. The cheapest to run is the E220d, which can achieve returns of 72.4mpg. 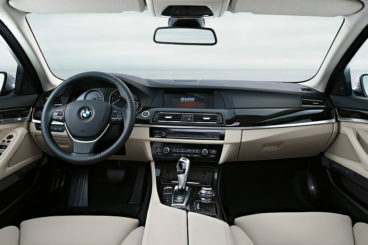 The interior is classy, spacious, and stocked up on more advanced technology than the BMW. Overall, the cabin is a much higher quality than not just the 5 Series, but every other car in this market. A flowing dashboard, high-quality leather trim inlays, and a dual 12.3” widescreen display system are just a few of the highlights. There is plenty of room for 5 adults, access to the rear is easy, the seats are comfortable and adjustable, and the boot measures 540-litres. 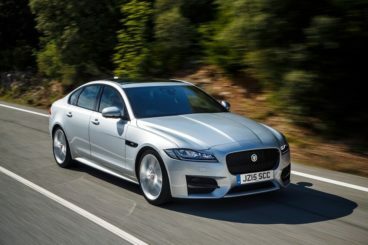 The new Jaguar XF Saloon is more stylish than the BMW, but also just as cheap to run. It’s also practical and good fun to drive. Indeed, when it comes to driving fun, the XF is probably the only car that truly rivals the 5 Series. Hi-tech diesel engines focused more on low running costs aside, here is an executive saloon that is sporty and engaging. The 2.0-litre 178bhp diesel engine is certainly capable and will account for a lot of the sales. It can get you from rest to 62mph in 8.0 seconds, and offers plenty of punch. The 2.0-litre 161bhp diesel will probably satisfy most of you, though, and can cover the same distance in 8.7 seconds. There are faster engines in the range, though, including a high-performance XF S petrol model. Low running costs make the Jaguar a solid alternative to the 5 Series. The cheapest diesel to run in the range is the aforementioned 2.0-litre 161bhp, which Jaguar claim can average a very impressive return of 70mpg. As always with a Jaguar, the cabin is made according to a very high standard. The XF’s interior is stylish, slick and hi-tech. The design language is very modern too and is in keeping with the trend set by the likes of Audi and Mercedes. And although we’ve pointed out how much space there is in both the 5 Series Saloon and the E-Class Saloon, the XF takes all the plaudits for its rear seat space which is class leading. Whether you’re sat up front or in the back, you’ll have more head, leg and shoulder room than you probably could have hoped for. The boot, meanwhile, measures 540-litres and comes with a split-folding feature. Executive saloons are getting better and better all the time. To stay top dog, the 5 Series has to keep coming up with the goods. And once more, it does. Still, the best car to drive in its class, it offers up as much interior space as you need to get comfortable, a pristine interior, and more than enough practicality. 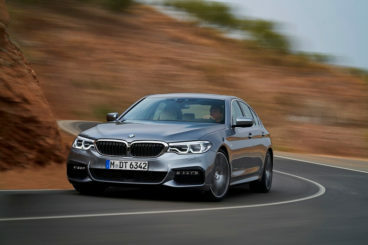 The new BMW 5 Series Saloon is refined, sophisticated, fun and, perhaps most importantly these days, also very frugal.